Living composer/improvisers rarely have their music documented by a single box set, let alone three in as many years. 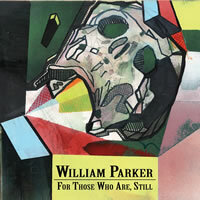 Why William Parker’s music has been the subject of such extensive collections can be attributed to a backstory that has saga-like qualities: years spent in the wilderness; a slow rise through the ranks; the nimble juggling of ongoing ensembles and one-off projects of incrementally increasing scale; and a judicious use of the leadership conferred upon him by a committed community of artists and activists. 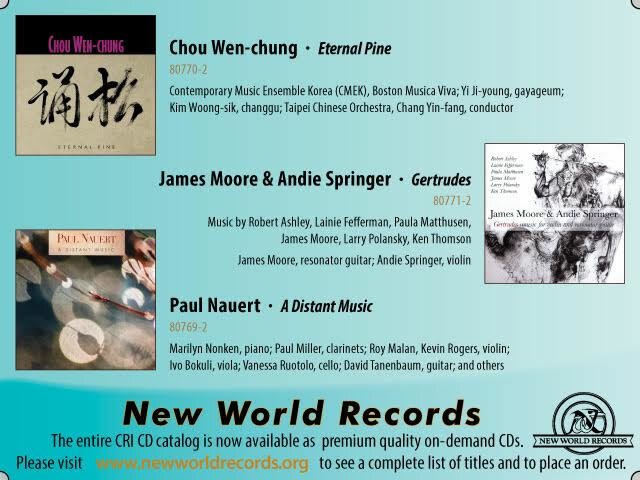 Comprised of large-scale, ensemble-specific works, the 3-disc For Those Who Are, Still is the third major collection of Parker’s music to be issued since 2012, complementing the six-disc Centering: Unreleased Early Recordings 1976 – 1987 (NoBusiness; ‘12) and Wood Flute Songs (Aum Fidelity; ‘13), eight CDs of small group recordings from 2006 to ‘12. By emphasizing his range as a composer – the bassist only plays on about 1 1/2 discs worth of material – For Those Who Are, Still presents the ubiquitous Parker in a sufficiently different light to consider him in the historical context of what is arguably creative music’s central strategic goal – the penetration of previously exclusive cultural institutions. The most obvious of these institutions are those built for classical music. Creative music’s track record remains spotty in this arena, primarily because composers like Parker are dependent on their funding. At best, creative music has something akin to Pops concert status in First World culture palaces, a once-a-season gesture born more from the nagging politics of diversity than a thoughtful response to the new. Granted, there are growing pockets of substantive, ongoing and independently minded engagement within that realm, one of which is Warsaw’s National Forum of Music, which houses a 1,800-seat concert hall and three smaller halls. In addition to being the umbrella for the on-the-rise Jazztopad Festival, the NFM has availed its symphony orchestra for projeccts with esteemed composer/improvisers like John Surman. For Parker’s Ceremonies For Those Who Are Still, both the NFM Symphony Orchestra and the Soloists of the NFM Choir are as fully franchised partners in the nearly hour-long work as Parker’s trio with saxophonist Charles Gayle and drummer Mike Reed. As Philip Clark details in his booklet notes, Parker’s score has a Baroque era-like lack of markings for phrasing and articulation, and has very few for dynamics, necessitating a measure-by-measure collaborative process. The results are impressive, as so much of Parker’s music depends upon just the right touch, not only in terms of attack but, more importantly, characterization. Subsequently, there’s a recurring not-too quality to the performance: the writing for voices is not too spectral; a passage for flutes is not too plucky; a slowly ascending figure early in the piece is not too foreshadowing. This quality deemphasizes the piece’s episodic structure, allowing materials to come and go with ease, therefore reinforcing an overall organic shape, and provides for a remarkably seamless integration of improvised elements from Parker (who doubles on doson ngoni and bamboo flutes), Gayle (who also plays a plangent soprano and a surprisingly Cooper-Moore-like piano) and Reed. The flow of the work somewhat obscures the sheer mass of materials Parker includes in the piece, making Ceremonies For Those Who Are Still one of those recordings that necessitates – and rewards – repeated encounters. The idea that The Kitchen would commission a work from Parker is, at first glance, not remarkable, given the singular stature it has been accorded in their support of the avant-garde since the 1970s. But, of the dozen artists listed in their booklet blurb as being “artists who have defined the American avant-garde,” whose careers The Kitchen helped launch, there is only one African American – choreographer Bill T. Jones – and no African American composer/improvisers. For those who think, for starters, George Lewis – a former Kitchen music director – is a major figure in the American avant-garde, The Kitchen’s self-identification arguably represents an institutional exclusivity that is more insidious than their old-money counterparts, but one that just as surely marginalizes creative music. Perhaps Parker will someday be part of their promotional materials; certainly, For Fannie Lou Hamer, premiered in 2000 as part of the Kitchen House Blend series, is a work worth their ink. Though it is scored for an 11-piece ensemble (three strings, two winds, two brass, piano, and two percussions) and is spattered with open space for improvisers like trombonist Masahiko Kono and wind instrumentalists Sam Furnace and J.D. 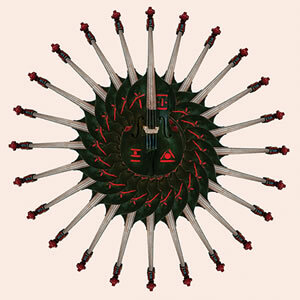 Parran, the half-hour piece is at heart a vehicle for Leena Conquest, the most compelling singer in creative music. Having included Conquest on several of his projects, Parker knows how to integrate her unique amalgam of Jeanne Lee’s dusky lyricism, Abbey Lincoln’s plaintive edge, and Fontella Bass and Amina Claudine Myers’ soulfulness, into a stylistically wide-ranging work. Building from color fields to tap root-fed melody, For Fannie Lou Hamer has a gravity befitting the dedicatee’s legacy. While Parker’s writing is spot-on throughout, and his musicians are constantly contributing iridescent details (particularly percussionist Jim Pugliese), it is Conquest that galvanizes the performance. However, as stirring as Conquest’s performance is on For Fannie Lou Hamer, there are additional facets to her singing that, conveniently, is heard on Vermeer, a nine-part sequence that rounds out the CD. With sparser instrumentation – Parker, saxophonist Darryl Foster, and pianist Eri Yamamoto – Conquest’s voice has more space to saturate with its lustre. Parker gives Conquest materials that are sinewy, ethereal, and elemental all at once, and he, Foster and Yamamoto have an unfailing knack of giving Conquest just enough for her to glow. Giraffe With Red Dreadlocks bears some resemblance to 2007’s Double Sunrise Over Neptune (Aum Fidelity), but it extends beyond the presence of singer Sangeeta Bandyopadhyay and double-reed specialist Bill Cole performing on both. The addition of Senegalese singer and multi-instrumentalist Mola Sylla does create a different palette of voices; the back and forth between the two singers at the outset of the 2012 6-part work ends too soon. Shedding the second drummer and several strings (including guitar, banjo and oud) that gave the earlier work its distinctive textures and spurts of intensity, results in a more spacious feel here. Yet, Parker’s now-familiar gambits in large-scale compositions provide sufficient linkage between the two pieces, letting his patented bass figures and deceptively simple ensemble lines easily transition between the ethereal to the earthy, and the ancient and the post-modern. Stalwarts like saxophonist Rob Brown, pianist Cooper-Moore and drummer Hamid Drake, abetted by wildcard bass saxophonist Klaas Hekman, stoke a thoroughly exhilarating blaze midway in the piece, setting up Sylla, singing movingly, accompanied only by Cooper-Moore, and then another exchange with the equally transfixing Bandyopadhyay. Parker may be the composer and the leader of the date – and the piece ends with a full ensemble movement fueled by yet another infectious riff – but the singers are its stars.